First Lieutenant Dean Francis Spaulding, Jr. was born on December 19, 1946 in Ypsilanti, Michigan to Mr. Dean F. Spaulding of Marquette, Michigan and Mrs. Estella Woodard of Clearwater, Michigan. Dean is a 1965 graduate of Manchester High School. He earned a scholarship to Rhode Island University in Kingston, Rhode Island. He entered the Army in January of 1967 and was commissioned as a Second Lieutenant, and attaining First Lieutenant in November of 1968. First Lieutenant Spaulding began his tour in Hau Nghia Province, South Vietnam on October 21, 1968 serving as a Field Artillery Unit Commander with B Battery, 2nd Battalion, 40th Artillery, 199th Infantry Brigade. Dean was killed on December 15, 1968 as a result of an explosive device. Dean Francis Spaulding, Jr. is survived by his parents, two brothers and a sister. He lived 21 years, 11 months and 26 days. He is resting in the Largo Cemetery in Largo, Florida. Dean's name is listed on the Vietnam Memorial in Ypsilanti Township under Manchester. His name also appears on the Vietnam Memorial in Washington, DC on Panel 36W Line 028. Dean, We miss you deaply. From what my grandfather, grandmother, and my dad have told me, 1st Lt. Dean F. Spaulding was a remarkable man. Remember he risked his own life to save his partner. That takes guts. I have read all his letters and he sounds like a cool guy. I am only his nephew and never met him before, but I still miss him! I will never forget Dean. 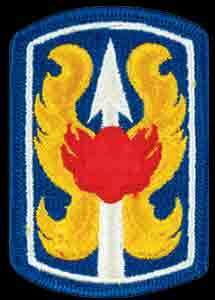 Dean and I were in the same platoon in OCS at the Field Artillery School in June - November 1967. I remember him as a very "strack" officer candidate who would go to great lengths to assist fellow candidates. We shared many fine memories during our twenty-three weeks together and I was deeply saddened to read of his death just prior to my graduating from my helicopter course of instruction in December of 1968. To his family members I know time heals wounds. I grieve for all friends who failed to come home alive and Dean was one of those special people I will never forget.